Eric leads Husch Blackwell’s national Financial Services & Capital Markets industry team. He regularly represents domestic and foreign corporations, private equity and venture capital funds, institutional investors, underwriters, investment banks, insurance companies, financial institutions and entrepreneurs. 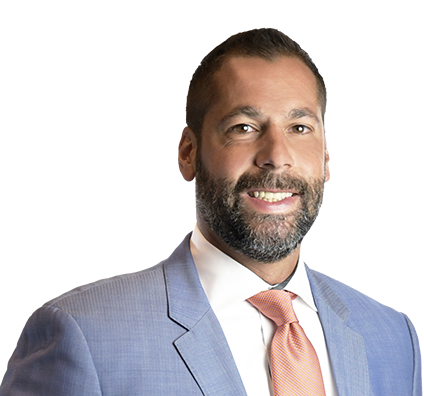 Eric has extensive experience in mergers and acquisitions, leveraged recapitalizations, public and private offerings of debt and equity capital, fund structuring and portfolio investments, cross-border transactions, private company ownership succession planning, and emerging company capitalization and growth transactions. Represented family-owned regional bakery in the sale of its assets to a publicly traded company. Represented Associated Financial Group, a subsidiary of Associated Banc-Corp, in acquisition of Minneapolis-based insurance and benefits consulting firm. Advised Italian multinational corporation on disposition of multiple U.S. operating subsidiaries. Represented Telkonet (TROI) in disposition of its EthoStream subsidiary to DCI Design Communications. Represented numerous financial institutions in merger transactions in excess of $1 billion in value, as well as recapitalizations, acquisitions and divestitures of operating assets, portfolios, and branches. Advised multibillion-dollar manufacturer on spinoff of 100-year-old legacy furniture division. Represented large beverage manufacturer in auction process and sale to private equity. Represented the owners of a fast-growing digital and social business agency in a multimillion-dollar recapitalization with a California-based private equity group. Advised the owners of a vapor liquid and electronic cigarette manufacturer on the sale of 50 percent of company equity to a strategic joint venture partner with worldwide distribution capabilities. Represented a GA-based industrial boiler manufacturer in the issuance of $300 million in high-yield bonds and a $185 million tender of existing notes. Guided a Michigan-based brake pad manufacturer in a transfer of ownership between private equity firms in a transaction valued in excess of $400 million. Represented owners in the sale of an internet-based financial products business to a publicly traded acquirer in a transaction valued at more than $40 million. Represented a large agricultural implement manufacturer in a $120 million sale of stock. Assisted in the sale of several financial institutions to publicly traded acquirers in transactions aggregating to $250 million. Represented a nonprofit educational institution in a $20 million New Markets Tax Credits (NMTC) financing transaction. Assisted in representing North America's largest tank trailer manufacturer in sale to a private equity fund purchaser in a transaction valued at more than $30 million. Following an acquisition by a federally chartered bank of Wisconsin's largest state-chartered bank, analyzed and delivered recommendations to acquirer on Wisconsin state law preemption, in light of the Dodd-Frank Act and final OCC preemption regulations. Assisted in representing the majority shareholder of a national event rental business in a debt/equity recapitalization transaction valued at $150 million. Facilitated the creation of an internet-based social media consulting company, including initial financing through a private placement offering valued at $5 million, and subsequent follow-on financing of $10 million.